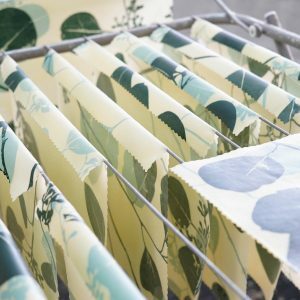 Whilst they may look non-discerning, the thing about beeswax wraps is there are many ways to make them. Ingredient variations are a major factor in how beeswax wraps perform to aid your produce and storage solutions. We thought therefore, it would be helpful if we shed some light over key choices Apiary Made makes as a beeswax wrap business. At Apiary Made we are serious about bees, they are at the epicentre of our business. We are therefore serious about beeswax. Being apiarists ourselves, we know exactly how our bees are looked after and exactly how they are treated. We can’t keep up with our own demand for beeswax used in our production, so we turn to other ethical suppliers. We source from Australian beeswax or honey suppliers that we know can meet our criteria for quality and ethics. Sourcing wisely is a significant practise of our business because organic beeswax is the key to making a truly sustainable beeswax wrap. The public may be aware of the concerns in the meat and dairy industries regarding animal health and safety standards, but in fact, antibiotics can be used in the mass production of bee related products such as waxes and honey, which we avoid. We want to create the best wrap we can and always be kind to our pollinators. At Apiary Made we are also serious about cotton. 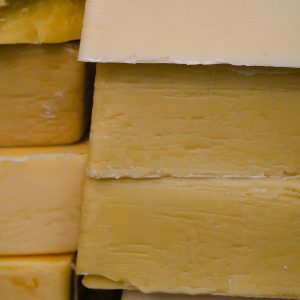 Material forms the primary ingredient of a beeswax wrap, so it’s imperative to get it right. We therefore only use GOTS Certified Organic Cotton. GOTS means Global Organic Textile Standard. It means that chemicals are not used during the farming process, thus reducing the amount of chemicals being transferred to the water and land on these farms. 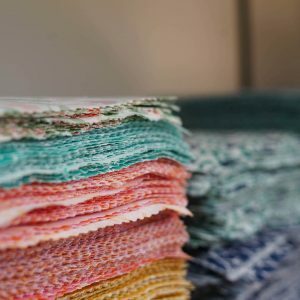 We also only work with factories who can guarantee they use water based, eco-friendly and in some case certified organic dyes. So, there are a few points on our brand! We hope it gives you some insight into the world of beeswax wraps and Apiary Made.